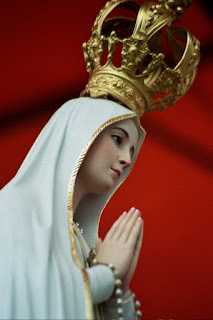 About two months ago at Holy Mass at St. Bartholomew, during the offertory, God allowed me to see part of the Third Secret of Fatima. Lucia told it right. I saw part of what she wrote about. It was like being present as it was happening. Going to Holy Mass I was not thinking of the Third Secret in any way so this vision came suddenly, unexpected, quite shockingly actually. I will state that yes, I have read the Third Secret, but to read something, and then see it live as if you are present is two different things entirely. What I saw only lasted about three seconds, but what I saw was a Priest in a cossack, with blood on his face as he was being attacked from soldiers from behind. The background was dark as if light had been extinguished, like their was not a hope of a sunrise. There was smoke from fires off in the distance as if other fighting was going on. I couldn't see all of it, but I could sense and see that we were near the bottom of the Crucifix. I was in front of the Priest and, he was falling forward toward me with a sad look on his face and I knew that when he fell, the soldiers would be on him and he would die. I could not help him. I looked up and I saw many other religious, a Bishop in white . (I see why she believed this to be the Pope, and I believed it to be the Pope also in comparison to the other Religious present as he was the only Bishop in White). The other religious with the Bishop in white where being attacked also by soldiers, the other religious where trying to protect the Bishop. There were many other religious also of varying rank, I did not see the Holy Father fall, but I knew he was in danger. They were surrounded, there was no way to avoid what was going to happen. I do not care what anyone thinks of me, my job is just to tell what I saw, and what I know in my heart that it means. 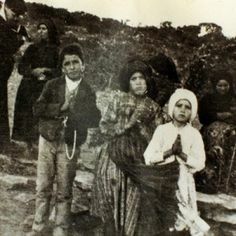 The true meaning of the Third Secret of Fatima is that there are things that are going to happen in the future that are unavoidable. I plead and beg to God for the salvation of souls, but you have to understand, God will have His way. There are some things that are going to happen no matter how much we pray. There are some things that MUST BE. We must prepare for the future and not push it away as if to say, "Oh God wouldn't do that..." or "Oh no, that won't happen." Yes it will, and I am here to tell you that it will. The Catholic Church has always been under attack, but the devil will make one last attempt to totally destroy her before our Lord comes. He will attack the religious and the Churches because the devil has no defense against the Holy Mass and the Eucharist. When the Priest holds the Eucharist and says, "Behold, the Lamb of God." The devil must bow to Jesus in the Eucharist held in the hands of the Priest, a man, whom the devil said he would not serve. 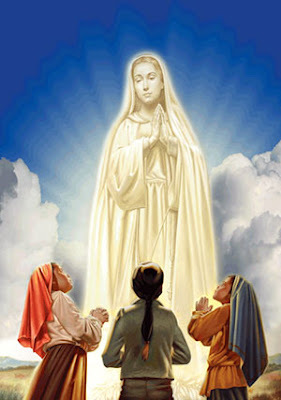 What happened at Fatima is very true, study it, and do what Our Lady of Fatima asked of us. Pray the Rosary. Do not despair. Catholics have always been the conduit for the rest of the world. For what is to come, whenever God decides it to be, we must prepare ourselves now by being pure and holy. Then we must plead to God for our brother's and sisters of other faiths, or no faith at all. We have always been the front line in the battle for souls, it will be no different when the Third Secret comes to pass. PENANCE! PENANCE! PENANCE! First for yourself, and then for your brother who will never seek God or His mercy so that he may have a chance of mercy through your petition at his or her judgement. Her Immaculate Heart WILL TRIUMPH! 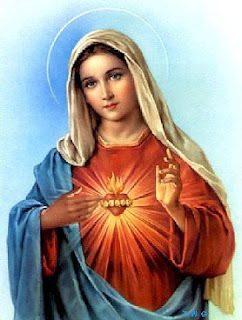 Not because of her own will, but because Jesus wills that His Mother's immaculate heart have VICTORY.